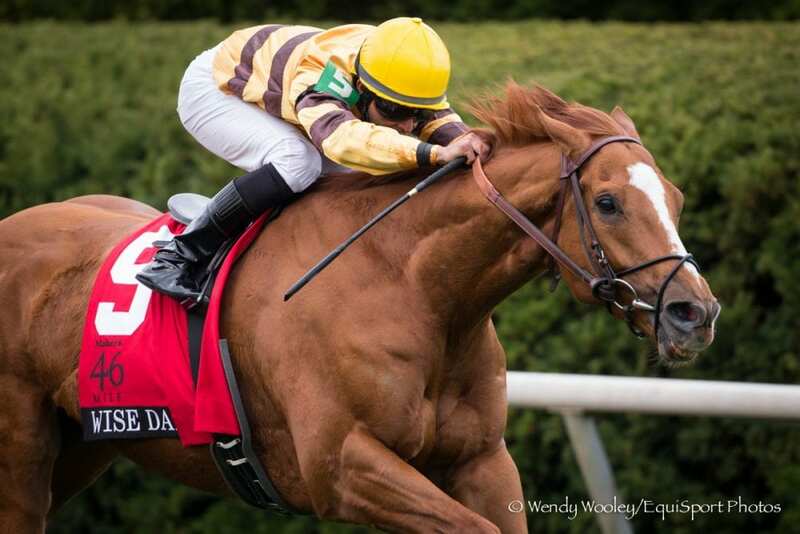 Lisa Danielle, the 2013 Kentucky Broodmare of the Year and dam of two-time Horse of the Year Wise Dan, was euthanized on Feb. 7 due to a ruptured a digital sesamoid ligament in her left hind leg, BloodHorse reports. She was 25. The mare had resided as a pensioner at Patchen Wilkes Farm in Lexington, Ky. Farm manager Barry Ezrine told BloodHorse that the injury could have likely been repaired on a younger mare, but her advanced age made recovery impossible. Lisa Danielle was owned by Mort and Elaine Fink, who purchased her as a yearling for $29,000 at the 1995 Keeneland September Yearling Sale and owned her for the rest of her life. The Illinois-bred daughter of Wolf Power won one of seven starts before being retired to start her broodmare career. The mare produced seven foals with six-figure earnings or better, led by Wise Dan, a son of Wiseman's Ferry whose six Eclipse Awards include Horse of the Year titles in 2012 and 2013. He won the Breeders' Cup Mile in both of his championship campaigns, contributing to his 19 career graded stakes victories and $7,552,920 in on-track earnings. Lisa Danielle is also the dam of Successful Dan, a son of Successful Appeal who racked up four graded wins and finished with career earnings just shy of seven figures. Other notable runners out of the mare include Grade 2-placed Enchanting Lisa (by War Chant) and stakes winner Our Royal Dancer (by Roy). Lisa Danielle earned the Kentucky Thoroughbred Owners and Breeders Association's Broodmare of the Year honors in 2013, when Wise Dan and Successful Dan, both Fink homebreds, charted graded stakes-winning campaigns. The mare will be buried at Patchen Wilkes Farm. This entry was posted in Bloodstock and tagged Barry Ezrine, lisa danielle, mort fink, Obituaries, patchen wilkes farm, Successful Dan, Wise Dan by Paulick Report Staff. Bookmark the permalink.